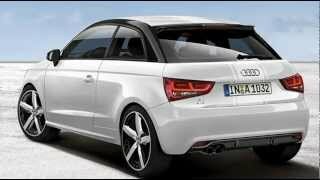 If you're on the lookout for a hot-hatch but the 2012 Volkswagen Golf or the 2012 Ford Focus are not your cup of tea, then you'll be pleased to learn that the Audi A1 Sportback has just become a lot more interesting and it might just be what you're looking for. The German carmaker has recently revealed three new trim levels for the A1 Sportback, and despite the fact that there are no improvements in terms of performances, the relatively cheap Amplified package offers that extra pizazz which might seal the deal. The Amplified package contains three trim levels including the base-level, Amplified Plus and Amplified Advanced. 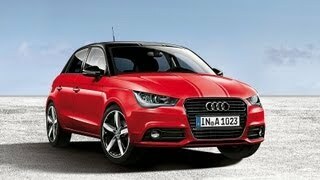 Let's check out what Audi A1 Sportback Amplified has to offer. We're going to start off with what you can get for the least amount of money spent, so base trim level offers glossy black paint on the roof rails, the exterior mirror housings, S line roof spoiler and on the single-frame grille. Furthermore, the base model adds a transparent film on the engine hood, roof and rear hatch. The Amplified package also includes a new set of 17-inch allow wheels with black inserts. 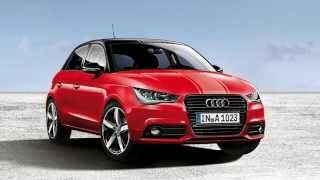 Unlike the two-door A1 which receives a Glacier White paintjob alongside the Amplified package, the Sportback comes in Misano Red. On the interior you'll get Misano Red air vents and black-trimmed sport seats. In case you're not impressed by the entry-level trim package, the Amplified Plus brings a few extra features including stainless steel pedals, stainless steel foot rest, LED interior light package, black headliner and a center console painted in Misano Red. On the outside you'll get a glossy black diffuser with matt tailpipes, as well as a set of LED taillights. If you want to go all-in, then the Amplified Advanced trim level is the answer. It's only available for models with more than 120 horsepower and besides the above mentioned features it adds an S Line sport package interior featuring silk Napa leather and seat back-shells painted in to match the body color, a new set of 18 inch wheels, tinted rear window and a set of Xenon plus headlights. As far as pricing goes, the base Amplified package will cost €1,990, the Plus will set you back €3,990, and the beefiest Amplified Advance trim level is somewhat more costly, with a €6,990 price tag.